In our last post, we talked about the powerful effect stomach acid can have on teeth. Most cases of decay aren’t caused by stomach acid, though. Instead, when most patients experience tooth decay, it’s the result of bacteria and plaque. Bacteria reacts to many foods—especially foods high in sugar—by producing acid, which leads to more bacteria and more acid, resulting in an environment harmful to teeth. Thankfully, Dr. John R. Robison and Dr. J.D. Robison offer care for both tooth decay and gum disease. With services like composite fillings and porcelain crowns, plus periodontal therapy, our Canton dental team can provide effective care against both. We also recommend coming to Robison Dental Group twice a year for checkups and cleanings. Though we offer these great general and restorative services, regular checkups and cleanings are designed to prevent the most common oral health conditions from forming in the first place. During your visit we can also offer home care tips that will help you protect your smile in between visits to our Canton dental office. We recommend brushing at least twice a day and flossing at least once. You may also benefit from an antibacterial or fluoride mouthwash. Has it been more than six months since your last checkup? Call Robison Dental Group for an appointment. We serve patients from Canton, Ann Arbor, Northville, Westland, Plymouth, and beyond. 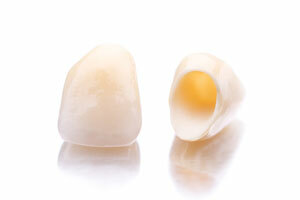 Comments Off on What Causes Tooth Decay and How Is It Treated?